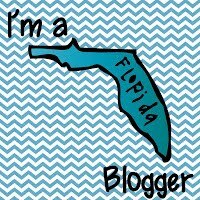 Products That Will Save My Sanity this Holiday Season! I LOVE the Thanksgiving holiday break. I get a chance to relax with family, and rest before the three weeks of Festivus Frenzy! I always like to make the weeks before Christmas as smooth as possible. My class is reved up, and honestly everyone is busy. I have Christmas concerts to attend, presents to buy, a house to decorate, and a classroom to control. I have a few products that I use to help make the season festive and fun, and save my sanity. 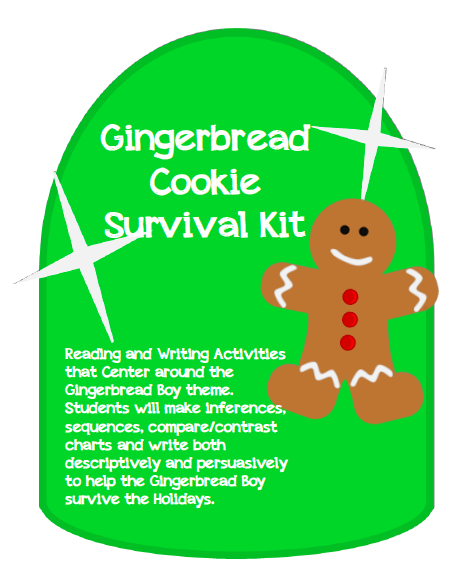 In small group reading work I love my Gingerbread Cookie Survival Kit. It uses The Gingerbread Boy, The Gingerbread Baby, and The Gingerbread Girl. Students make character inferences and compare/contrast the paired texts, complete a sequencing activity, and work in a little alliteration. Students also have the option of completing a persuasive writing activity. They can create a Gingerbread Cookie Survival catalog where they create an item that will help keep the cookie safe from being eaten during the holidays. I love using these activities with my students who are struggling with character traits and writing. 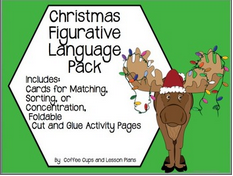 I also love to use my Christmas Figurative Language Cards in Word Work Centers. We've worked our way through the Figurative Language featured in the cards, so these are a great review for them. Plus, how can you not LOVE the tangled moose! 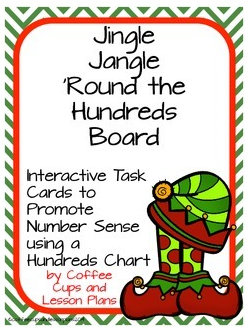 Finally, in Math I'm going to pull out my Jingle, Jangle 'Round the Hundreds Board. This is a new series of Math Riddles that I've created. I've really tried to differentiate these Task Cards. Students who still need a visual use the Hundreds Chart and start at the first Task Card. Those who can handle it don't use the Hundreds Chart and just use mental math. My students LOVE using these cards when we have small group math. I can't wait to see their faces! Don't forget that the TpT Sale has started today, and you can get 28% off of all of the above products by using the promo code TPTCYBER. 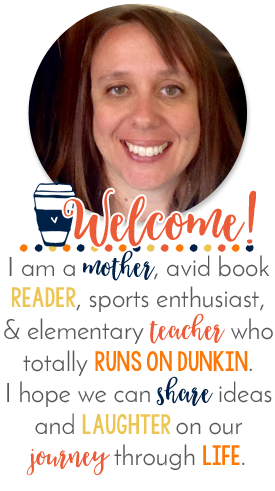 My entire store is on sale, and I have a ton of fun math and ELA products that will help make teaching a little easier while you balance the busy-ness of home.